your skin, the environment and more gentle on your fabrics. 3 years. This will save you a lot of money. of Crystal Wash will be decreased if not recharged. I love the idea of not having to buy laundry detergent for the next few years. Not to mention that I am actually doing my laundry without any chemicals or perfumes. This is perfect for me since most laundry detergents makes me itch. I already have to buy perfume free detergents. With Crystal Clean, I feel like I am being environmentally friendly also. 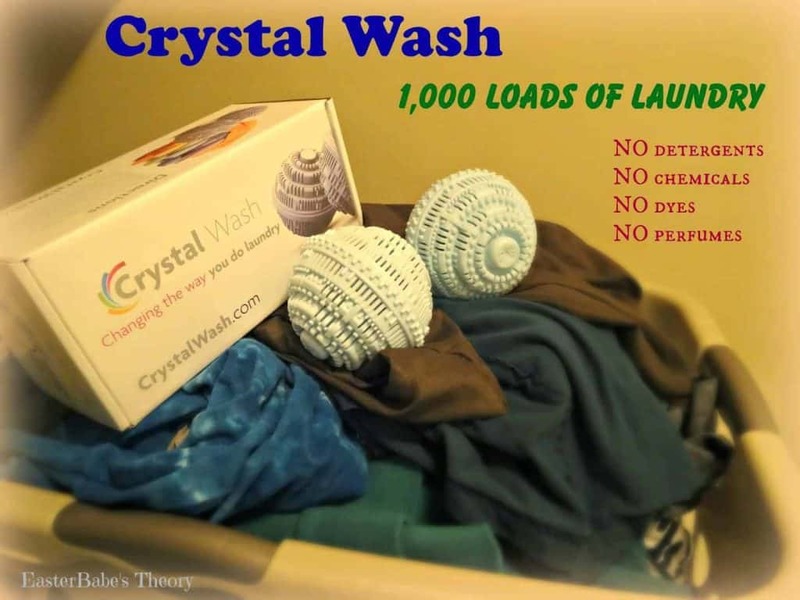 Crystal Wash makes doing laundry so easy. No more dealing with liquids and powders. I don’t know how many times I’ve had to clean up laundry detergents spills. I leave the Crystal Wash in the washer so I’m ready to just throw in my clothes and press the start button. It can’t get any easier! 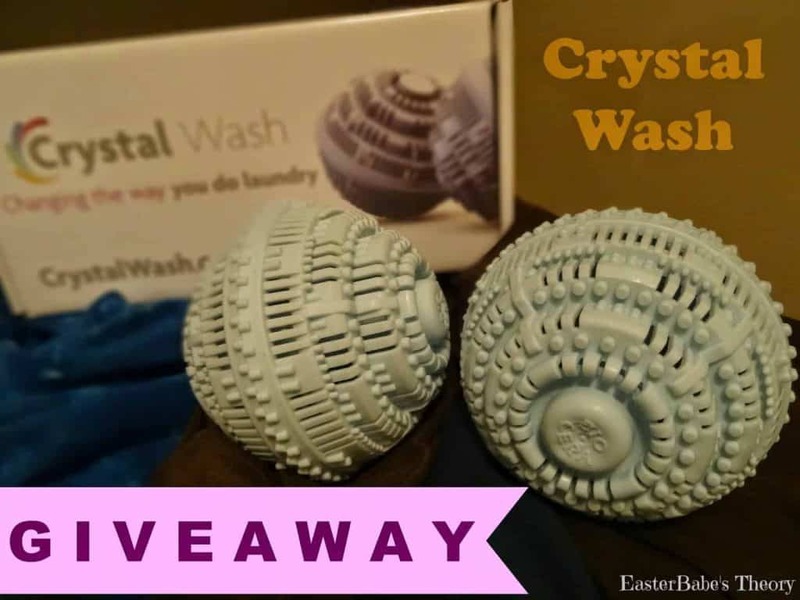 Want to try Crystal Wash! 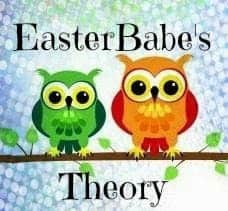 The giveaway is Sponsored by Crystal Wash and Hosted by EasterBabe’s Theory. Crystal Wash is responsible for shipping the product to the winner. Winner must reply back with shipping info within 24 hours or another winner will be picked. Every damn day…lol! I blame it on the boys…They have twice as much laundry as I do! I do laundry about 5 to 6 times a week. I do blankets and sheets every other week. This would be a great idea to save money. Love these! 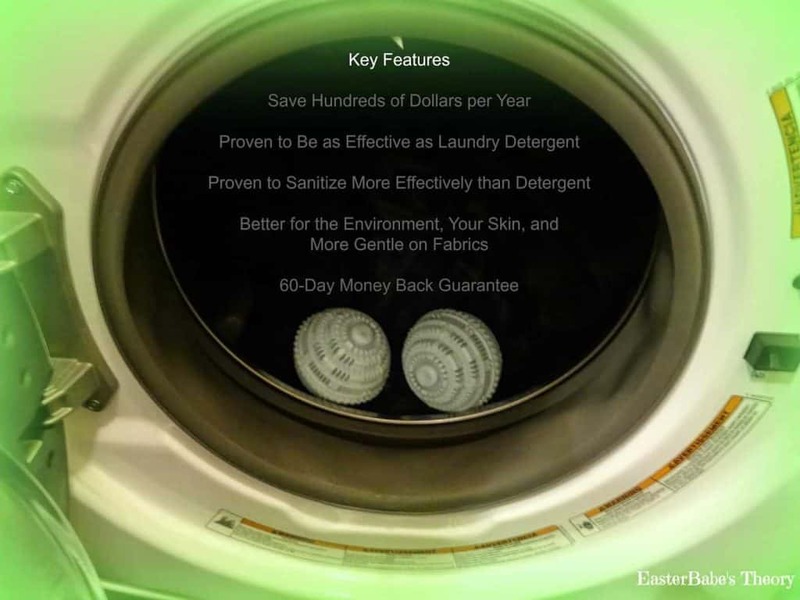 Better for the environment and our families than dryer sheets.